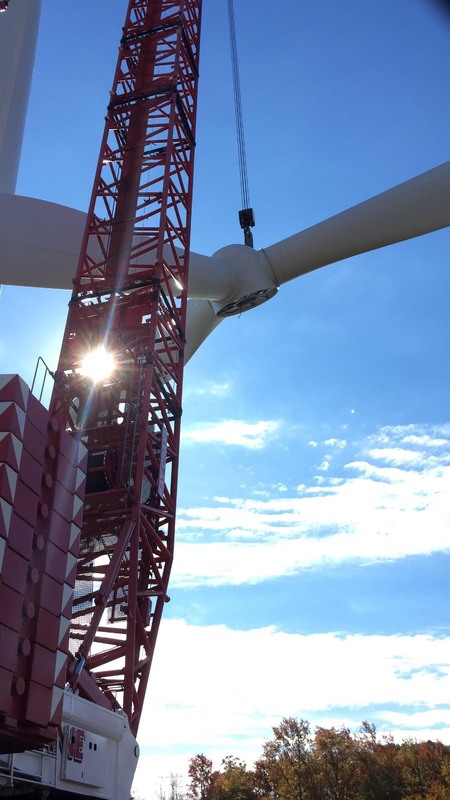 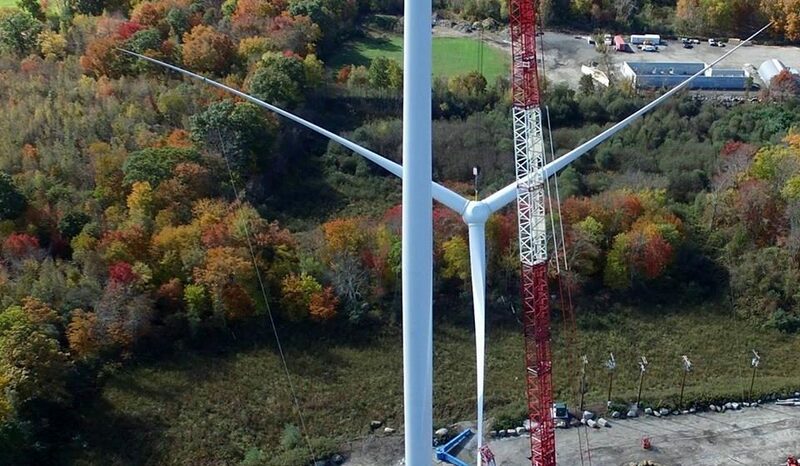 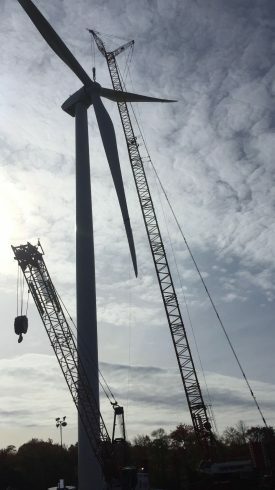 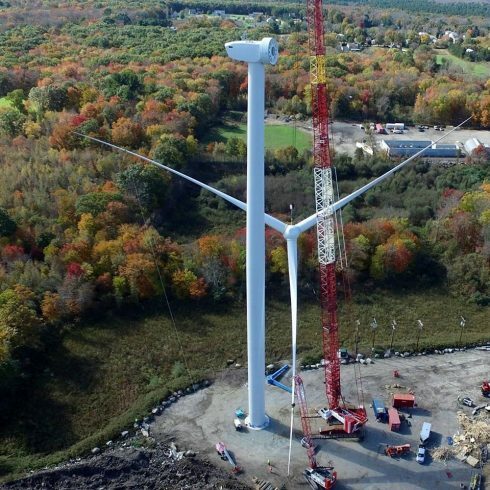 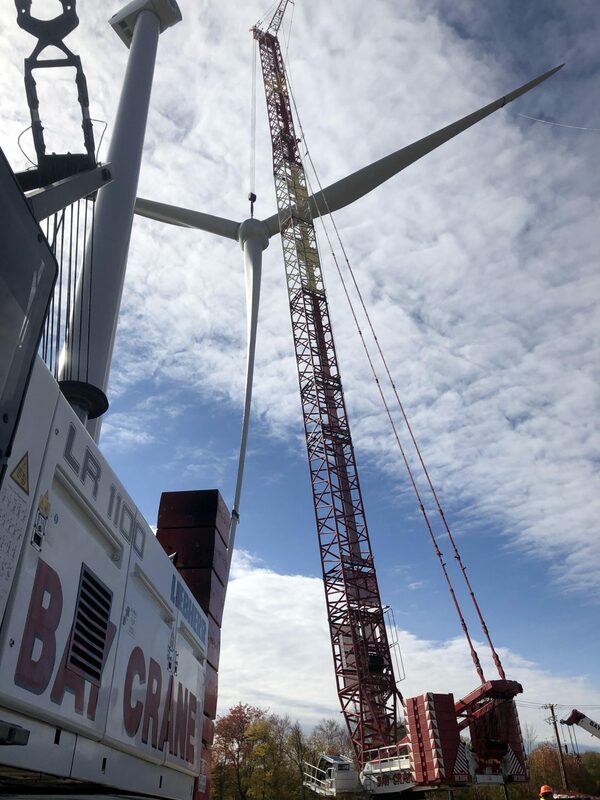 Bay Crane Northeast completes milestone erection of 100 meter, 3 megawatt wind turbines. 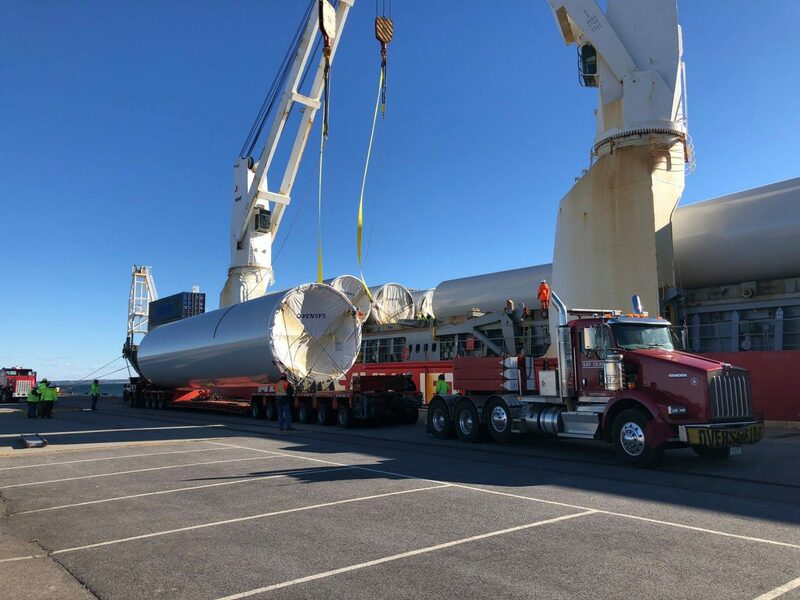 Bay Crane Northeast has completed milestone transportation and erection of the first 100 meter 3 megawatt wind turbine. 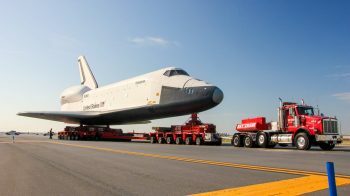 Under contract to offload, store, reload, and deliver the 33 major components from ships gear to erection site. 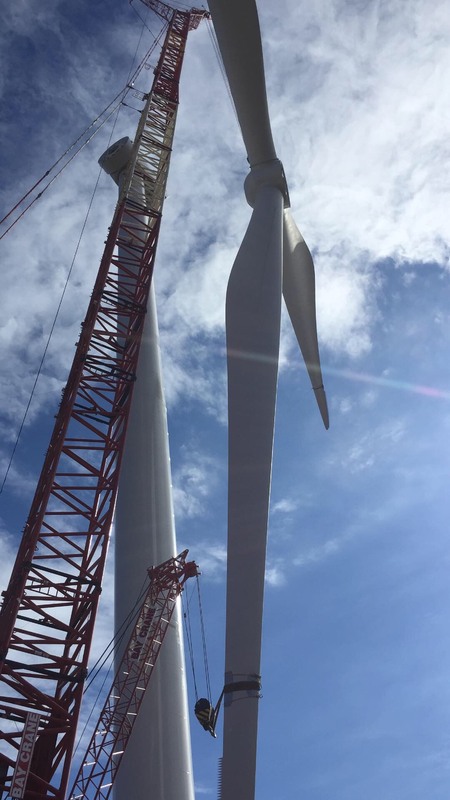 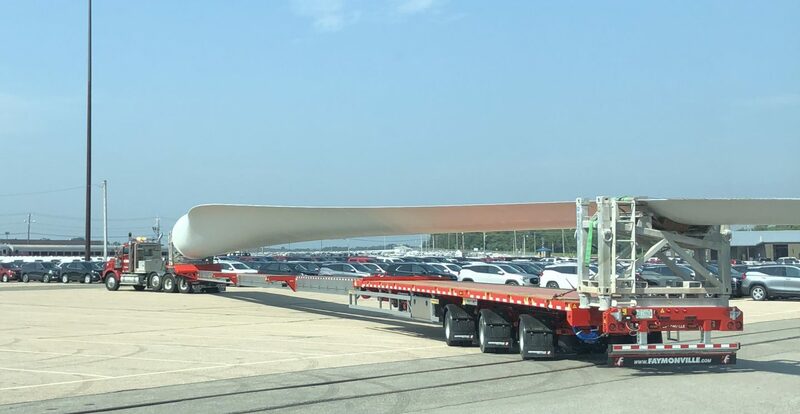 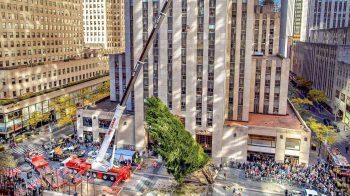 Components size range up to the 200′ long blades; 152,000 lbs generator and tower sections ranging up to 143,000 lbs. Critical on time deliveries of these super loads are critical to project success and scheduling.